This form of kinesiology was developed by Haakon Lovell, an acupuncturist and expert in geophysical energies, and Carrie Jost, a kinesiologist, psychotherapist and healer. Way of the Tracker is the professional training course resulting from their work. It is a highly effective way of helping people to make positive steps forward and find their path in life. This is done by addressing the nature of the problem or issue, finding where it is in the energy system, where it came from and how to work with it. Students learn how to help others through this process by working in a group setting to work on their own process of healing. 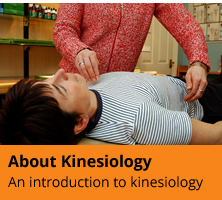 This training was created by Natalie Davenport, a kinesiologist and expert in many bodywork methods. The course takes students through the major body work and energy medicine approaches originating in Applied Kinesiology, and teaches them in a way which allows for enhanced use of the senses. This is also a full professional training course. Together the two courses make for a powerful and creative approach to healing and well being on all levels. Both courses require students to have a foundation in LifeTracking, Touch for Health or equivalent basic course in kinesiology. Teachers of Way of the Tracker are Carrie Jost, Christina Damerell, Judith Hart and Ali Ashby. 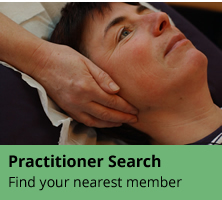 Teachers of Perceptual Bodywork are Carrie Jost, Rachel Lead, Judith Hart and Ali Ashby.